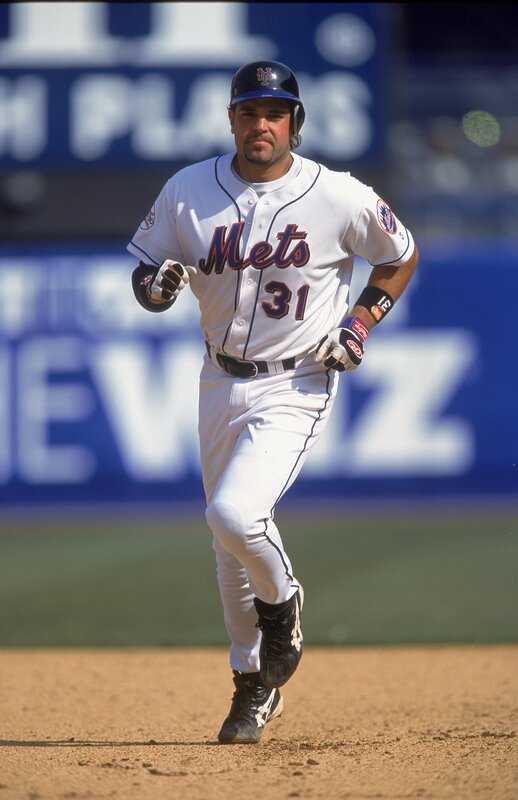 Mike Piazza hit 427 home runs, including a Major League-record 396 as a catcher. Looking back at his 16-year career, four of those longballs especially command our attention now on the Opening Day Countdown Down Under blog, which enthusiastically tips its cap to No. 31 legends like Greg Maddux, Fergie Jenkins and Dave Winfield, as well as returning Red Sox ace Jon Lester. 2000, Cubs at Mets: They opened that season in Tokyo, and 55,000 fans at the dome there saw Piazza bash a two-run homer in the eighth inning off reliever Brian Williams. It was a 5-3 loss, but it got the ball rolling toward the Mets’ first National League pennant since their 1986 title. Who can forget Piazza vs. Roger Clemens that fall? 2001, Mets at Braves. Everyone remembers the homer Piazza hit in the first MLB game after the 9/11 terrorist attacks. Some consider that their greatest baseball memory. But do you remember what happened when Piazza first swung a bat that same season? It was a two-run homer off future Hall of Famer (and Countdown Down Under veteran) Tom Glavine, and the difference in a 6-4 Mets win. 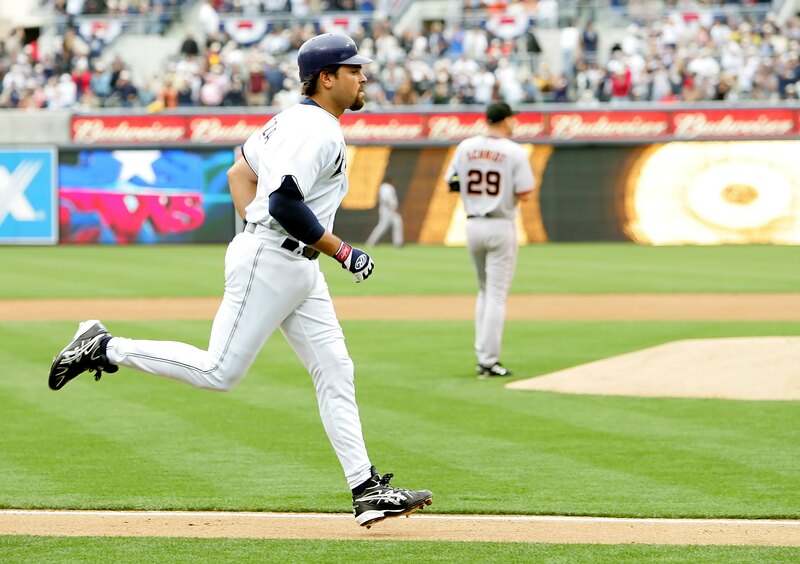 By the way, that photo you see at the top of this post is Piazza rounding the bases after one of two homers he hit against the same Braves the following week at Shea Stadium in the Mets’ home opener. 2004, Mets at Braves. Another Opening Day homer at Atlanta, this time a solo shot in the third inning off Russ Ortiz in a 7-2 Mets win. That made it three Opening Day homers for the Mets in five years, worthy of club lore. Opening Day is just one of 162, but it is more food for thought for Hall of Fame voters next winter. Join MLB.com as we cover each opener, starting with the MLB Opening Series in Sydney. Look for all the big firsts here as part of our coverage, and relive our Opening Day Countdown Down Under below. Enter your email address to follow this blog and we'll send each post straight to your inbox as we track all the openers!